The Madonna helps mankind to establish a link to the Divine. She represents the Eternal Divine Mother. The compassionate Mother whose joy it is to flood the world with love. She offers light, hope and love to our stress-ridden world. 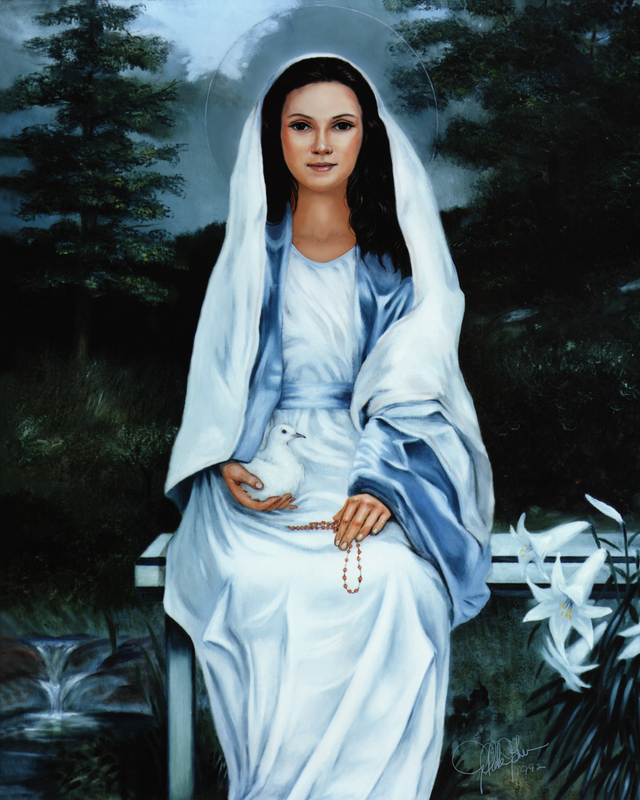 She holds a white dove, symbolic of peace and rosary which invites the viewer to go within and re-establish their connection to the infinite light of life shining deeply within the ocean of consciousness within themselves. The small waterfall represents the fountain of Immortality. The white lilies symbolize eternal life in the ever-present Light of God. This is my oil painting.